Si recuerdo que cuando empece en la universiadad en el 96 un prof de esos locos que nunca faltan aun tenia uno, pero ya estaba de moda el star tac, el tango y los primeros de movilnet. En esa epoca ni soñabamos las funciones del iphone o blackberry. 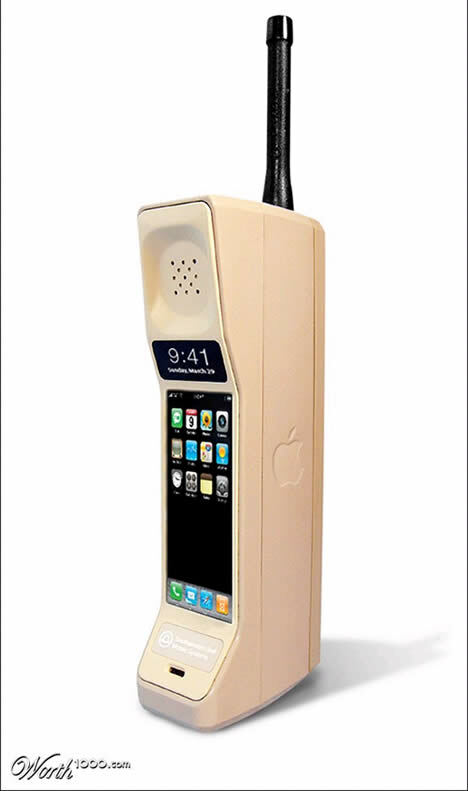 -Y si el iphone hubiera salido en los 90 fuera del tamaño de una nevera. Creo que estoy un poco viejo. esta burda de fiiinooo ah que lindos 90 pero nunca como los ochenta no les parece? I’d have to agree with you one this subject. Which is not something I typically do! I enjoy reading a post that will make people think. Also, thanks for allowing me to speak my mind! helpful. as though to say what I thought ideas. a little something brilliant like it . It is nice to know that all the information I need is right in front of me. you have. Really appreciate you writing this particular article. Great!! I would like to thanks for the time you have contributed in composing this blogpost. I am hoping the same high-grade article from you in the upcoming as well. In fact your creative writing skill has inspired me to begin my own blog now. Really the blogging is spreading its wings rapidly. Your write up is a good model of it. The information view of the topic. I am, i love to read articles that interesting and effective anyway. piece of writing gives view of the issue. knowledge, It is nice to see thoughts that interesting and worthwhile anyway. Hey, very nice site. I came across this on Yahoo, and I am over the moon that I did. I will definately be coming back here more regularly. Wish I could add to the info and bring a bit more to the post, but am just reading as much info as I can at the moment. I bookmarked your blog on oyax. Outstanding news it is without doubt. I have been seeking for this tips. Please let me know if you’re looking for a article writer for your blog. You have some really good articles and I believe I would be a good asset. If you ever want to take some of the load off, I’d absolutely love to write some articles for your blog in exchange for a link back to mine. Please send me an email if interested. Thanks!